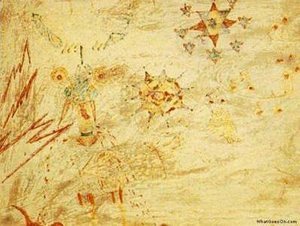 Lucy Vodden was the subject of a painting brought home from kindergarten by a young Julian Lennon, who showed it to his dad, John, and told him it was “Lucy — in the sky with diamonds”. Julian got back in touch with Lucy a few years ago when he heard that she was battling Lupus, an auto-immune disease. Following her death, Lennon became heavily involved with St Thomas’ Lupus Trust, which commissioned the plaque, and he become the Lupus Foundation of America’s Global Ambassador. The video below was made for World Lupus Day May 10. Julian describes knowing Lucy and tells how her death inspired him to help raise money and awareness for the terrible disease, which affects millions. Liverpool’s City Council agreed to the placing of a ‘Lucy in the Sky with Diamonds’ plaque in Mathew Street in Liverpool, which is the Mecca for fans of the Beatles. The sculptor of the bronze plaque will be Lauren Voiers, who is the young sculptor responsible for the John Lennon Peace monument in Liverpool. This will take place alongside the launch of the ‘Lucy Vodden Lupus Research Fellowship’ a lupus research project in Lucy’s name so all excess funds from the plaque will go towards that project. I was questioning what science could “fashion” for us in the future. As a fashion designer, I’ve always tended to think of making clothing from conventional materials. But then I met a biologist, and now I think of a completely different recipe — green tea, sugar, a few microbes and a little time. I’m essentially using a kombucha recipe, which is a symbiotic mix of bacteria, yeasts and other microorganisms, which spin cellulose in a fermentation process. Over time, these tiny threads form in the liquid into layers and produce a mat on the surface. We start by brewing the tea. I brew up to about 30 liters of tea at a time, and then while it’s still hot, add a couple of kilos of sugar. We stir this in until it’s completely dissolved and then pour it into a growth bath. We need to check that the temperature has cooled to below 30 degrees Celsius. And then we’re ready to add the living organism, and along with that, some acetic acid. We need to maintain an optimum temperature for the growth. I use a heat mat to sit the bath on and a thermostat to regulate it. After about three days, the bubbles will appear on the surface of the liquid — the fermentation is in full swing. And the bacteria are feeding on the sugar nutrients in the liquid. So they’re spinning these tiny nanofibers of pure cellulose. And they’re sticking together, forming layers and giving us a sheet on the surface. After about two to three weeks, we’re looking at something which is about an inch in thickness. This is a static culture. You don’t have to do anything to it; you just literally watch it grow. It doesn’t need light. And when it’s ready to harvest, you take it out of the bath and you wash it in cold, soapy water. At this point, it’s really heavy. It’s over 90 percent water, so we need to let that evaporate. So I spread it out onto a wooden sheet. As it’s drying, it’s compressing, so what you’re left with, depending on the recipe, is something that’s either like a really lightweight, transparent paper, or something which is much more like a flexible vegetable leather. And then you can either cut that out and sew it conventionally, or you can use the wet material to form it around a three-dimensional shape. And as it evaporates, it will knit itself together, forming seams. I started to grow microbial cellulose to explore an ecofriendly textile for clothing and accessories but, very quickly, I realized this method had potential for all sorts of other biodegradable consumer products. Designing what to build instead presented some challenges. “An expo is a kind of bonkers event,” the London-based architect said in an interview following his talk at the TED2011 conference in March in Long Beach, California. There were more than 240 pavilions competing for the attention of the millions of visitors to the expo last year. Taking a cue from the Expo’s theme of “Better City, Better Life,” Heatherwick decided to focus on how British cities, particularly London, had integrated nature into urban life. At Kew Gardens, London had “the world’s first major botanical institution. … And London for its size is one of the greenest cities in the world,” he said. The result was the “Seed Cathedral,” a strikingly different pavilion that commanded attention from visitors with its 66,000 optical tubes, each embedded with a different seed from the Kew Royal Botanical Gardens’ Millennium Seed Bank, which is seeking to collect and preserve seeds from a quarter of the world’s plant species by 2020. The Meningitis Vaccine projectis a fantastic success story. Prior to December 2010, the approach to protecting people from meningococcal epidemic meningitis in Africa was inadequate and reactive. This preventable disease was needlessly killing lives. A vaccine is now available for 50 cents per dose. I was in Africa when the largest meningitis epidemic on record hit in 1996 causing over 250,000 cases and 25,000 deaths. The epidemic caused social and economic activities to grind to a halt. The health officials at that time were overwhelmed. They contacted the World Health Organization (WHO) to request a new approach for dealing with this problem. The WHO brought together an international coalition including the US Centers for Disease Control and Prevention, PATH, and other stakeholders and they arrived at one recommendation—a new vaccine model needed to be produced that would prevent epidemic meningitis from occurring again. That led to the formation of the Meningitis Vaccine project—a partnership between WHO and PATH with funding from The Gates Foundation. After ten years of research and development a vaccine was licensed in June 2010 and has been introduced in three countries in Sub-Saharan Africa: Burkina Faso, Mali and Niger. Within two weeks of introduction, over 10 million people were vaccinated in Burkina Faso, 4 million in Mali and 3 million in Niger. To date nearly 20 million people have received the new vaccine and only 8 cases, who were unvaccinated persons, have been reported in these 3 countries. Rice is the staple food crop for more than half of the world’s population, and is especially important in Asia. While it is ample in calories, it lacks vitamin A, which plays an important role in maintaining good health. Because millions of people in the developing world don’t have access to a variety of nutritious foods, millions are at risk of vitamin A deficiency. Enriching rice with vitamin A is one potential solution that can help end this chronic health condition. You probably have heard more and more about nonprofit use of blogs over the last year. And you may have read my article, “Should your nonprofit launch a blog?,” last fall. It’s a great introduction to blogging for nonprofits. A quick reminder – a blog is a website that takes the form of an online journal, updated frequently with running commentary on one or many topics. There are few who will discount blogs’ role as a key component of online culture. If anything, blogs are quickly becoming popular with established users of the Internet, according to a late 2004 study on blogs by the Pew Internet & American Life Project. Pew conducted two telephone surveys of nearly 2,000 Internet users, and found that 32 million Americans, or 27 percent of Internet users, say they read blogs– a 58 percent jump from the prior year (with a huge growth in readers 30-49 years old). More than 8 million Internet users have created a blog or web-based diary. Twelve percent of Internet users have posted comments or other material on a blog. Nonetheless, the blogging concept is still evolving among the majority of Americans. Sixty-two percent of online Americans do not know what a blog is, according to the Pew study. Other results found by the Pew organization indicate the blogging community is still far from average, even among Internet users. Blog creators are more likely (82 percent) to have been online for six years or more and have broadband (70 percent) at home. This study, paired with a prior Pew report indicating 59 percent of Americans access the Internet as of 2002, begs the question: What, if any, impact do blogs have on how the public gets their news and information? The answer, not surprisingly, appears to be mixed. But what’s clear is that blogging (writing and reading), like Internet usage, is growing at a phenomenal rate. Even if your nonprofit isn’t blogging, organizations that are competing for the same donors, members, volunteers and participants are likely to be doing so. As a result, it’s a venue you can’t ignore any longer.